Some of the earliest articles in the New England Journal of Medicine (known then as the Boston Medical and Surgical Journal) were authored in the 1800s by the well-known neurologist C. É. Brown-Séquard, who described the hemi–spinal cord syndrome. His contributions to the New England Journal of Medicine on investigations of the spinal cord and epilepsy helped bring the publication to national attention. 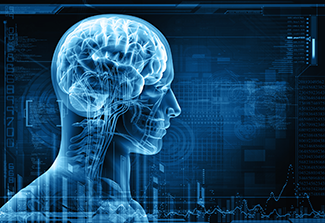 The practice of modern neurology began in the 1950s, after World War II, with the recognition that many neurologic diseases had causes different from those found in the practice of neuropsychiatry. Since then, numerous advances in the field have been published in the New England Journal of Medicine. Our improved understanding of stroke physiology has led to improvements in medical therapy, carotid endarterectomy surgery, and carotid artery stenting. Thrombolytic therapy such as tissue plasminogen activator (tPA) was developed to treat thromboembolic diseases (e.g., myocardial infarction and ischemic stroke). Certain forms of multiple sclerosis can now be treated with an oral pill or targeted biological infusions. New medications have been developed to treat Parkinson disease, migraines, and epilepsy. Advances in both neurosurgery and neurocritical care have improved management and outcomes in patients with severe neurologic diseases. As you proceed through this rotation guide, you will appreciate some of the incredible advances that contribute to the practice of neurology today.